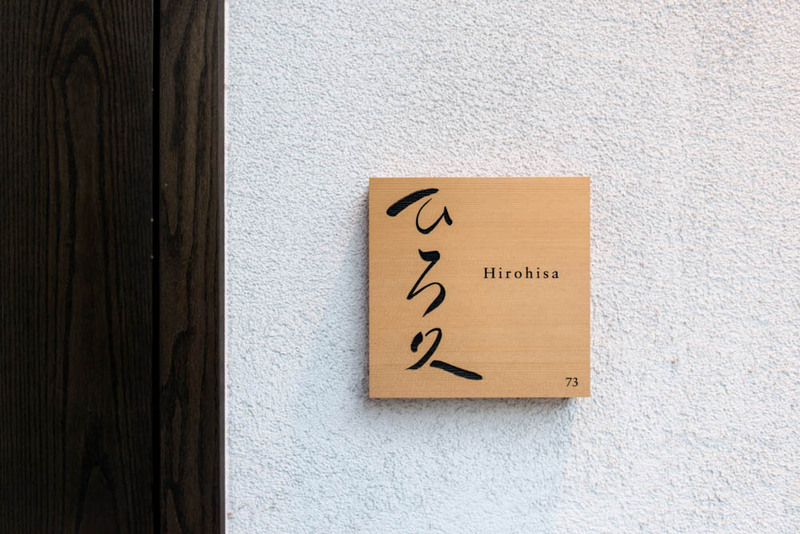 Hirohisa lies behind a nondescript unmarked door on a quiet block in Soho and just walking in the door will instantly calm and relax you. We started dinner with two cups of hot hoji tea to warm us up from the bitter cold and an amuse from the kitchen, one bite of seared red snapper with a light broth. 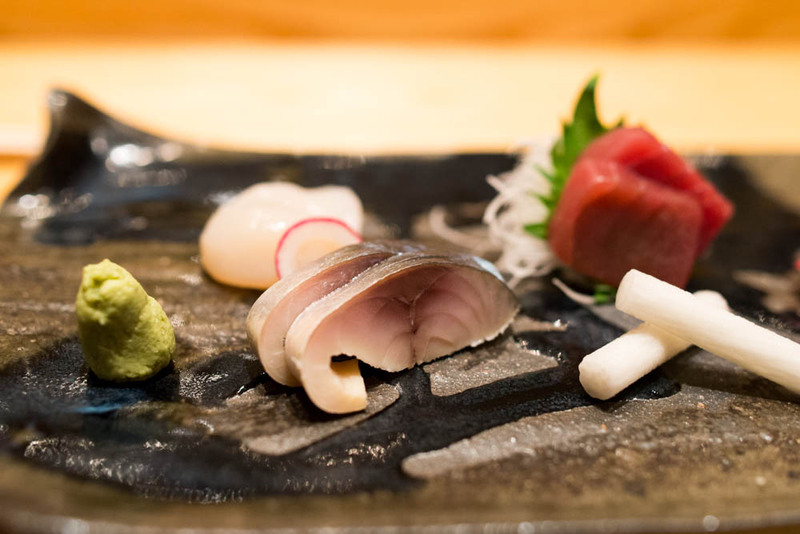 Even though Hirohisa features Kappo style cuisine where the guests are welcomed to dictate how they would like the fish to be served, we were much too exhausted from the week to make any kind of proper decisions and left all the choices up to the chef. 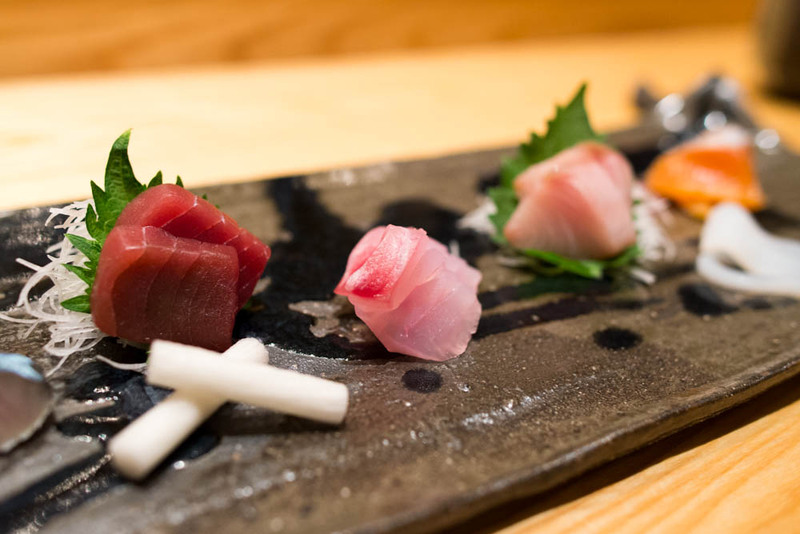 The assortment of fresh sashimi featured some of the usual suspects such as tuna and mackerel but also some unexpected elements like squid and artic char. 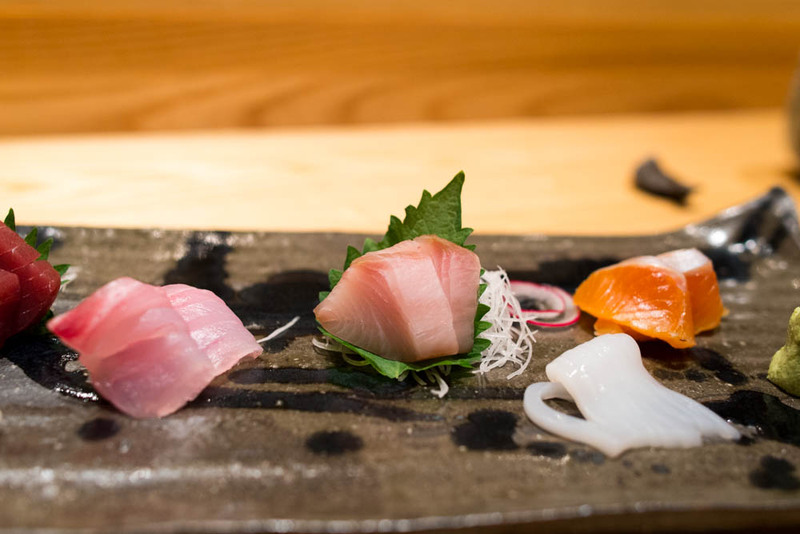 Fresh as can be, we had no complaints at all as we devoured each piece. 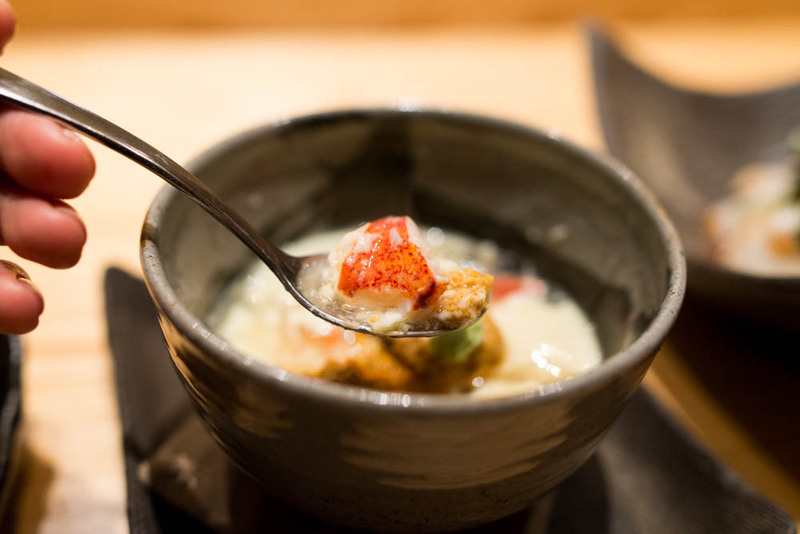 Next, a bowl of unbelievably delicate chawa mushi with uni and lobster. I love how this homey dish was elevated to such an elegant level with just a few key ingredients. 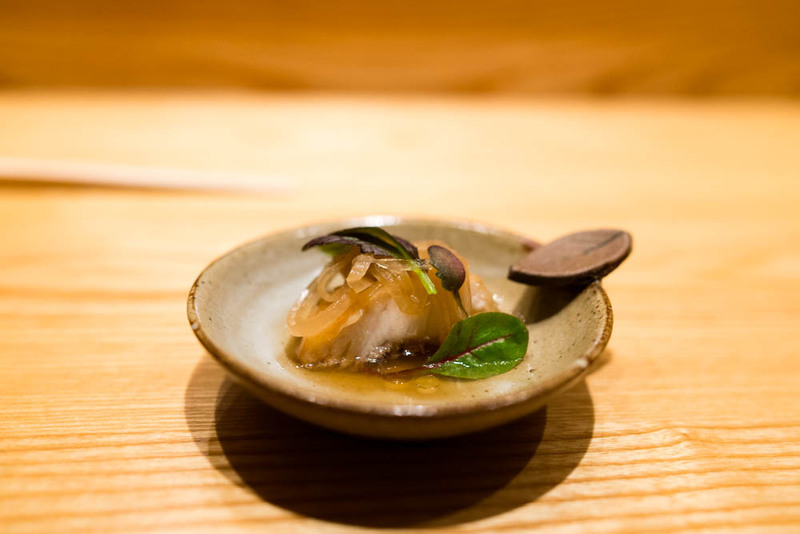 Immediately following was the seared scallop salad with ikura and lotus roots. 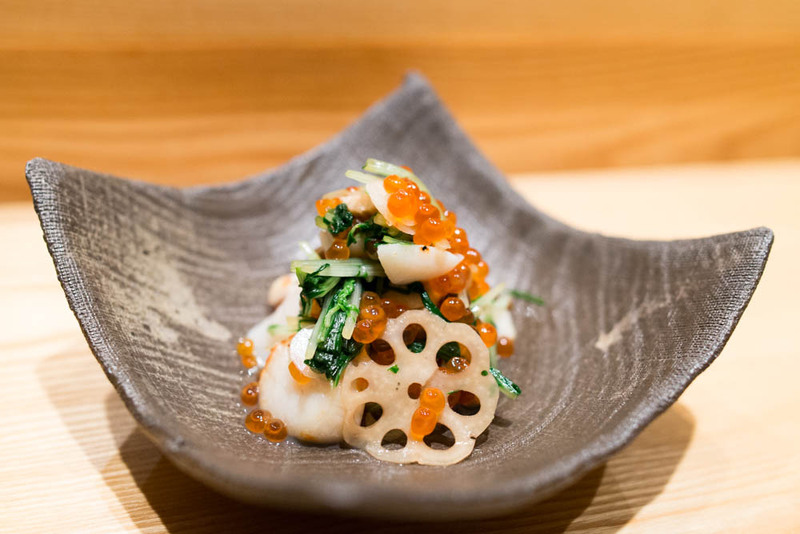 I loved the salty pop of the salmon roe against the sweet flavor of the scallops and the crunch from the thinly sliced lotus root added a great textural contrast. 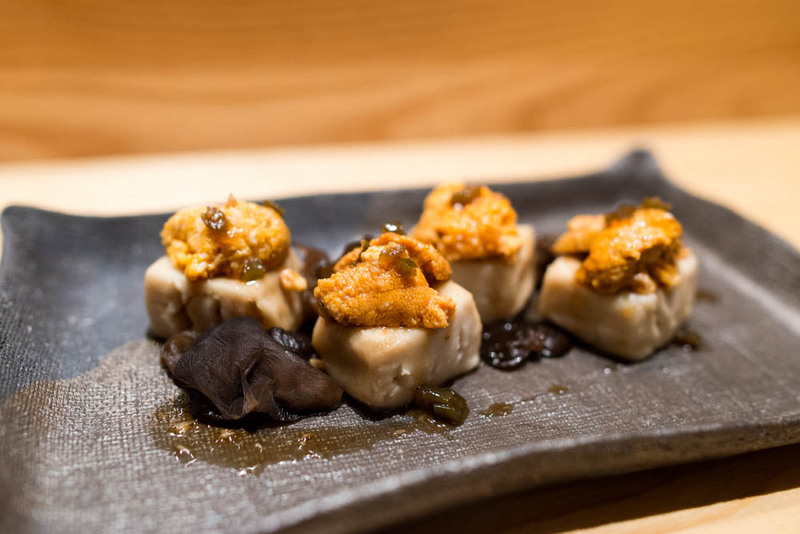 Then, just because we were craving more uni, a plate of the grilled sesame tofu with uni. 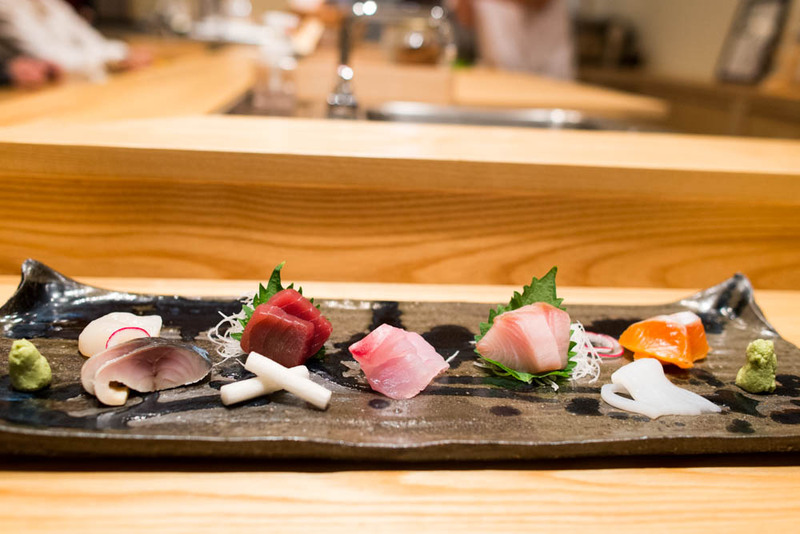 As someone who can always use more uni and have rarely anything bad to say about uni dishes, something about these particular bites left me wanting more variety. 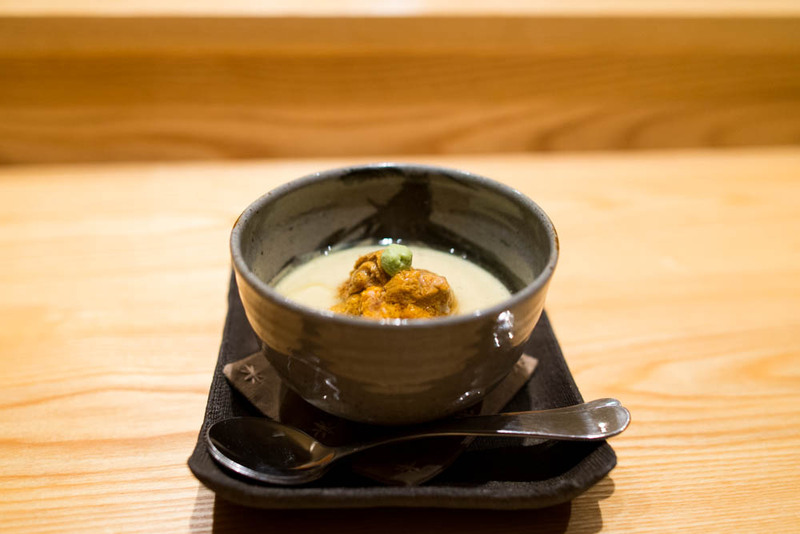 Perhaps a little bit of the lotus root would have broken up the rather similar textures of the tofu and uni. We wrapped up dinner with a heartier dish from the meat section of the menu. 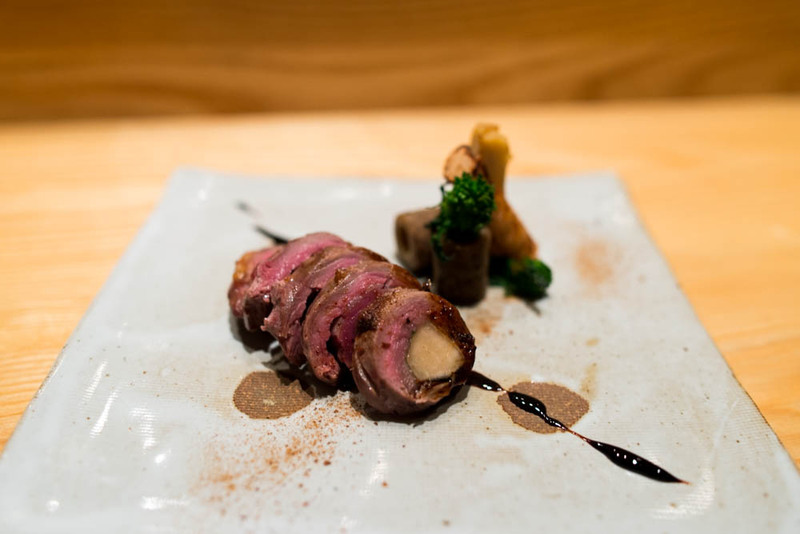 Grilled Colorado lamb was wrapped around Daikon radish, Shiitake mushroom and shiso leaves and served medium. I do hesitate to call this hearty because much like the rest of what preceded it, this was an intricate dish might have been mistaken as an appetizer elsewhere. However, in this particular setting, it was indeed the heartier dish of the night. With no one to really rush us out, we lingered a little longer with one more cup of hot hoji to conclude the meal. 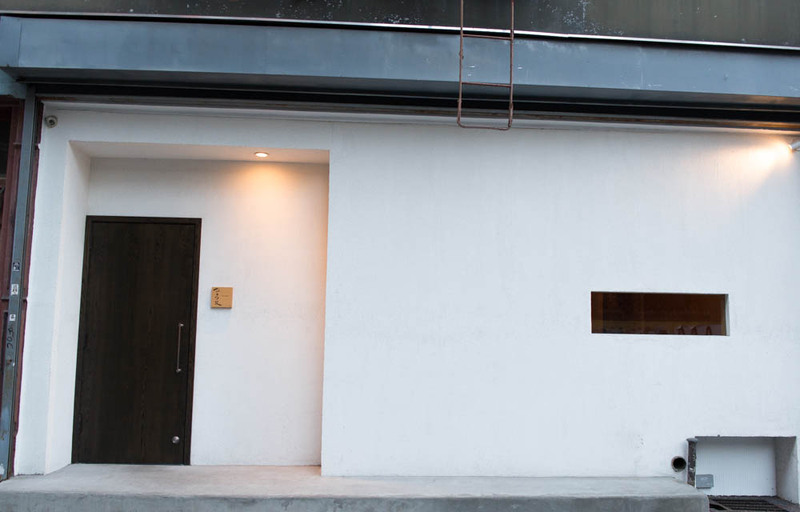 Finally when we were ready, we left the tranquil inner sanctum of Hirohisa feeling satisfied but not full, an illusive state that is much often too difficult to achieve.